These two contrasting statements are the prevailing yet paradoxical narratives on immigration in the United Kingdom today. An analysis of recent Home Office enforcement statistics suggests that neither offers an accurate picture of what is happening in the real world. We are all familiar with stories of the inhumane treatment of migrants at the hands of immigration officials and it is now compulsory for journalists to blame the “hostile environment” launched by Theresa May in 2012. Immigration rules are insanely complex, fees are outrageously high, quality of decisions is abysmally low and citizens and migrants alike are subjected to “papers, please” checks by ever more private citizens and companies. All this is true. Many would also assume that in this climate the Home Office is taking tougher action against migrants and defaulting employers, landlords and others. It turns out this just isn’t true. Enforced removals are down. Arrests following tip-offs are down. Right to rent fines are down. Illegal working fines have plummeted. If borders exist, they must be enforced. Public confidence in the immigration system has in the UK long been considered a prerequisite to harmonious community relations and liberal public policy. But those who work with migrants and their families know that each arrest, removal or fine is a life irrevocably altered. And that the link between public perception and reality on the ground is somewhat tenuous. Enforcing immigration laws does not necessarily equate to increased public confidence. Whether enforcement is good or ill, here we crunch the numbers on these different measures of enforcement activity from the Home Office’s own statistics and databases. The number of migrants removed from the UK has fallen to 2,400 in the second quarter of 2018. This is the lowest since a new way of counting removals was introduced at the beginning of 2014 — a decline of over one third since then. 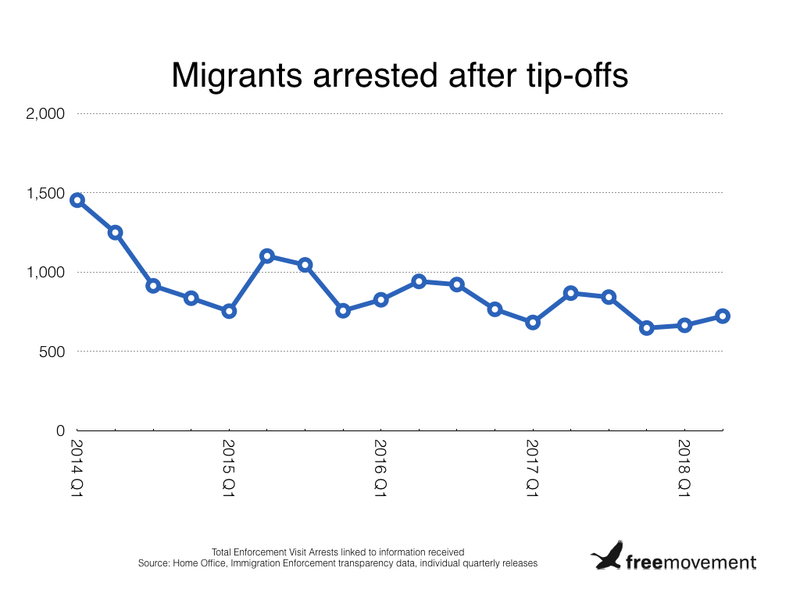 The number of migrants arrested by Immigration Enforcement officers acting on “information received” has also dropped. In 2014, around 4,400 such arrests were made. In 2017, that fell to 3,000. The value of fines handed out to employers for hiring undocumented migrants has also fallen away since a peak in 2016. That financial year, the value of illegal working penalties (before being reduced on appeal) came to £46.1 million. Last year, the total fell by over a fifth, to £36.2 million. In the last quarter, the value of fines was just £1.9 million for the whole country. We understand that is because the Home Office has temporarily stopped issuing these fines in light of the Windrush scandal. Sajid Javid had announced a similar “pause” on measures targeting the bank accounts of undocumented migrants at the start of the summer. The Immigration Act 2016 also created a criminal offence of illegal working aimed at migrants themselves. The government says there have so far been zero convictions under that law since it was brought into force over two years ago. 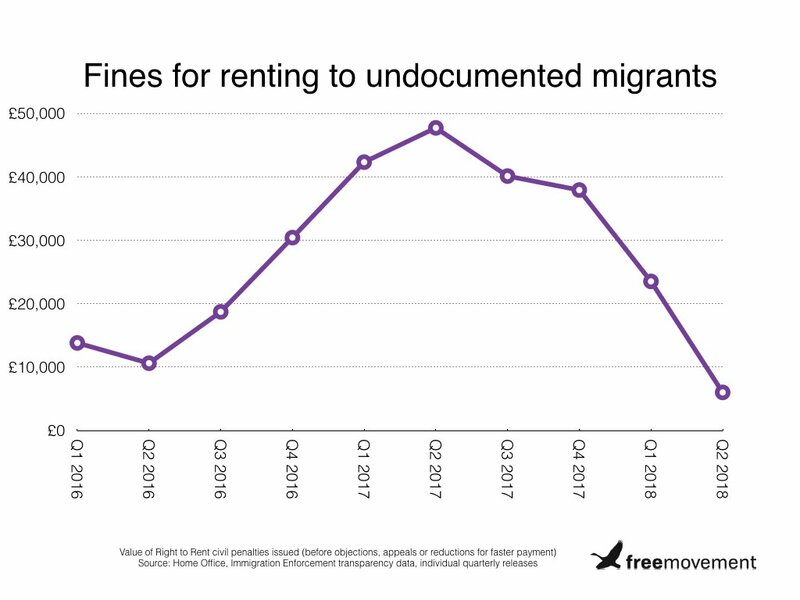 Fines given to landlords for renting to migrants without checking their immigration status has followed a similar pattern, albeit over a shorter timeframe. The scheme was only rolled out in February 2016 but appears to have already peaked, with hardly any fines at all recorded between April and June this year. Migrants may have austerity to thank for this slackening off in enforcement activity. 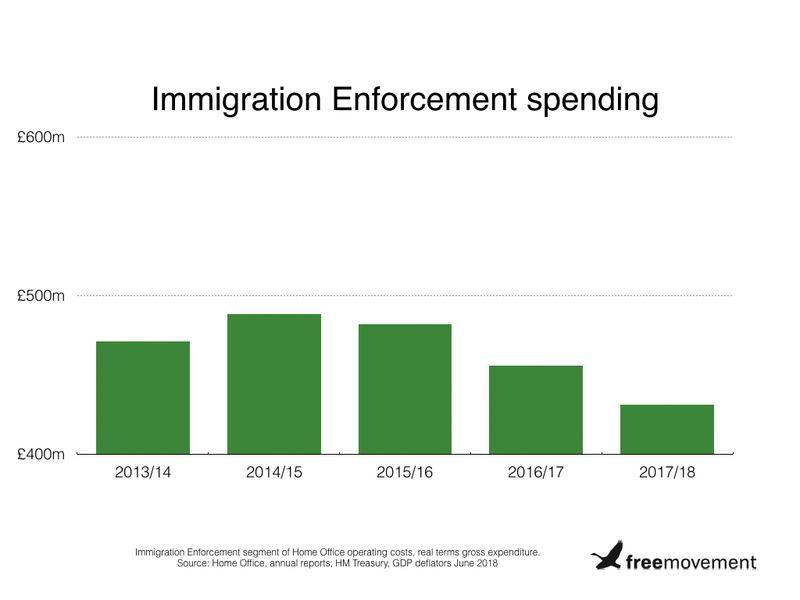 A rough indication of the resources devoted to it — Home Office operational costs allocated to the Immigration Enforcement directorate — shows a fall of almost 10% in the past few years, once inflation is taken into account. As we continue to make progress in strengthening our borders and immigration system against abuse, the number of individuals without legitimate status will be fewer. We were also told that the recent numbers for arrests tend to be revised upwards over time because there is a time lag in the data being reported. Given that independent inspectors discovered that no research has been conducted into whether the hostile environment is having any effect and the Home Office recently observed in response to a Migration Watch story that the size of the unlawfully resident population is unknowable, it is doubtful that enforcement is really falling across the board because there is less “need” for it. The reality is that, despite lack of evidence on impact and concerns over race discrimination, the Home Office increasingly outsources immigration control through the hostile environment as an alternative to direct enforcement itself. Tomorrow we’ll take a look at what these trends tell us about modern immigration enforcement and consider the likely impacts of Brexit. 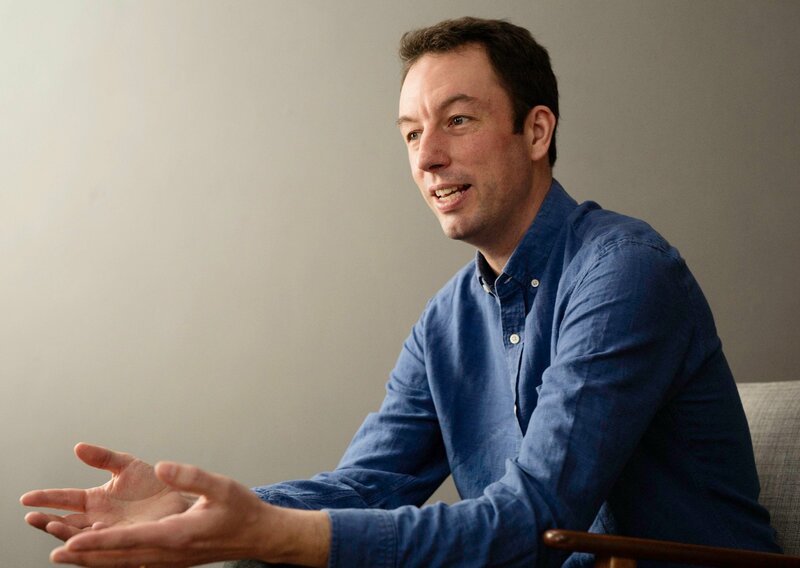 Many thanks to CJ Mckinney for analysing the statistics for this article. Some of the figures are drawn from FOI requests and “transparency data“, which is not overseen and checked by government statisticians. This means that their accuracy cannot be relied upon in the same way as official “national statistics”. But the numbers come from Home Office records and show clear trends.